Michigan's Great Lakes Bay Regional Convention & Visitors Bureau has engaged InterVISTAS Consulting Inc. to look in to the strategic plan for the Young Professionals. The results of the plan will lead us through the next 5 years. An important part of the strategic planning process involves consulting with community stakeholders to gain input on opportunities and challenges we face. The planning process took place on June 26th at Horizons in Saginaw. During this workshop, the team utilized an innovative cutting-edge self-assessment tool. The self-assessment tool enables a destination do an objective self-assessment which can help determine priorities and strategies for the future. The self-assessment results will lead to further discussion of opportunities for the Great Lakes Bay Regional CVB Board of Directors. With the results, they anticipate a new vision that will guide the Great Lakes Bay Region to reach new levels of tourism and increased economic development. 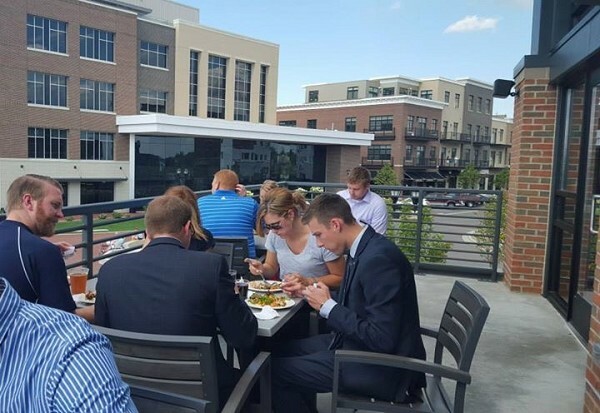 The CVB extended an invitation to the Young Professionals who completed the self-assessment survey to a reception featuring beer, wine & hors doeuvres on Thursday, July 23rd at The Real Seafood Company. This reception was to bring all the Young Professionals together throughout our Great Lakes Bay Region.